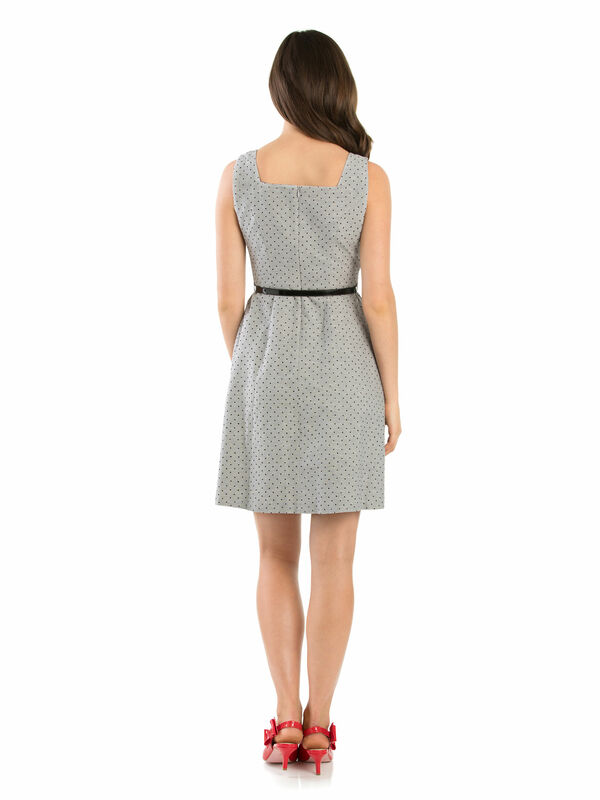 Amelie Dress https://www.review-australia.com/global/amelie-dress-charcoal-black/RE19DR365.REBLK050.html Polkadot prints will add a fun refresh to a classic look with this Amelie Dress. Fitted with double breasted buttons on the chest, chic black piping, and a hidden zip on the back for a seamless finish. 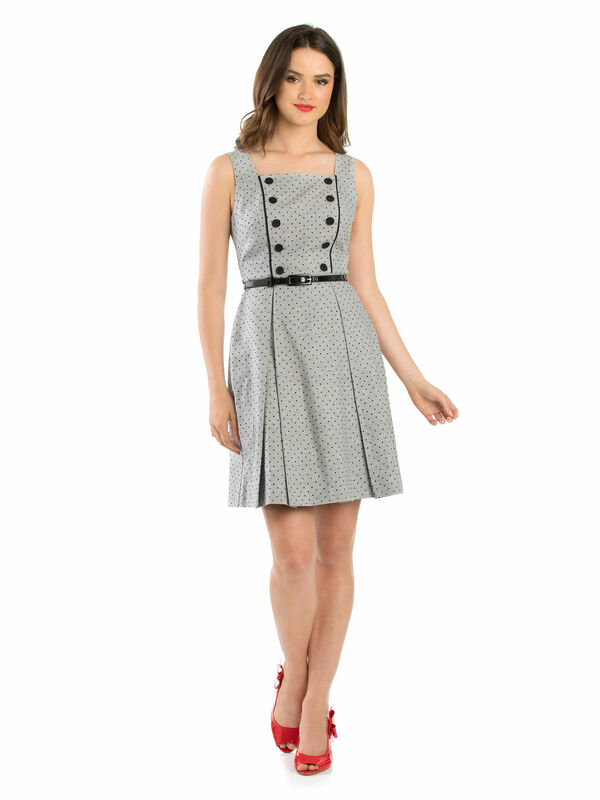 The dress boasts a pleated A-line skirt and it comes with a removable black skinny belt. Perfect for work events or evenings out.